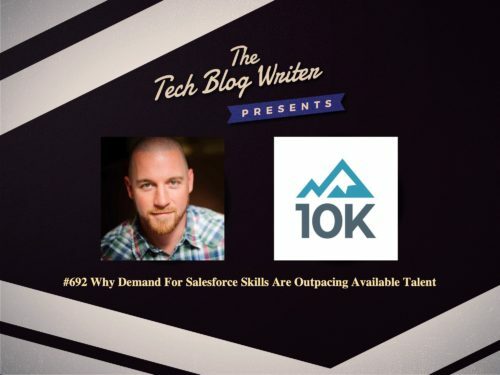 New research from 10K Advisors indicates the Salesforce ecosystem may be innovating faster than talent can keep pace, resulting in great career opportunities but challenges for customers. The report found that Salesforce Developer job openings outpace available talent by 4:1, meaning there are 4 job listings for every self-identified Salesforce Developer. For Technical Architects, the highest paid and most in-demand role, that ratio jumps to an astounding 10:1. 10K Advisors found that self-identified Technical Architects make up less than 2 percent of the Salesforce-related profiles on LinkedIn in established markets. In emerging markets that are key to future growth, that number drops to less than one percent. Salesforce reported that the number of Technical Architect jobs has grown by more than 40 percent annually over the last 4 years, indicating that while growth within this crucial role is significant it may still not be enough to keep pace with demand. Market research has shown that jobs requiring Salesforce skills are growing faster than the overall market and that they pay more than jobs that don’t require the Salesforce skill set. Furthermore, deep technical skills are in greatest demand and command the highest salaries — more than $150,000 annually in some markets. 10K Advisors is a modern consultancy that provides mid-to-large size companies with on-demand access to proven Salesforce talent. Its unique model is flexible, easy to manage and delivers the results business leaders need without the headaches and over-promises they’ve come to expect from technology consultancies. I chat with 10K Advisors CEO, Nick Hamm about his mission to give people the freedom to excel at the work they love. I also learn how the company prides itself on creating a trusted community of experienced Salesforce architects, admins, developers and industry experts who get to focus on what they love and deliver great results.